I've been entertaining the idea of trying this denim on denim thing. I usually love embracing new trends, but for some reason I'm having a hard time with this one. 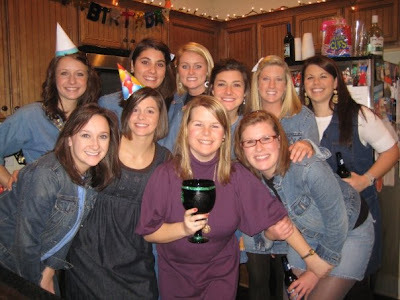 I keep on having flashbacks to the time when denim on denim was something you wore as a joke. For example, this jean party jarty I attended back in 2009. But if I am going to partake in this trend, I think there are certain parameters I need to stay within. So tell me, what's your take on the joutfit?